Certain basic or standard documentation is required by all lenders, such as tax returns, building plans and a licensed building contractor, but lenders customize many of their requirements to meet their specific needs. What many homeowners and builders don’t realize, and many mortgage/loan brokers seem to forget, is that simply providing the necessary documentation doesn’t guarantee loan approval. Lenders may not spell it out for you, but they all have a preference as to how construction loan submissions should be packaged and presented. 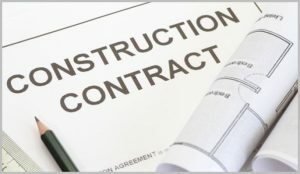 All we do at HomeConstructionLoans.com and the Arroyo Consulting Group is make construction loans and when you only do one thing you better do it better than everyone else. We have an extensive network of construction lending sources and one of our key advantages is knowing exactly how each one of our lenders prefers to have their loans packaged and presented. Knowing how to present your financial status, budget, builder and your project can not only make or break your project, it can also determine the speed at which you complete the financing stage of your project.